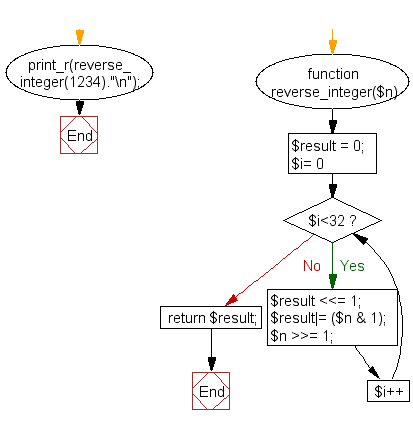 Write a PHP program to reverse the bits of an integer (32 bits unsigned). 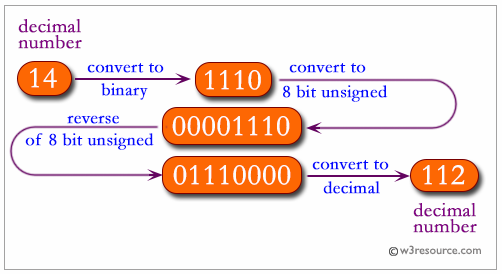 For example, 1234 represented in binary as 10011010010 and returns 1260388352 which represents in binary as 1001011001000000000000000000000. Previous: Write a PHP program to reverse the digits of an integer. 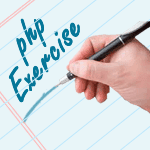 Next: Write a PHP program to check a sequence of numbers is an arithmetic progression or not.